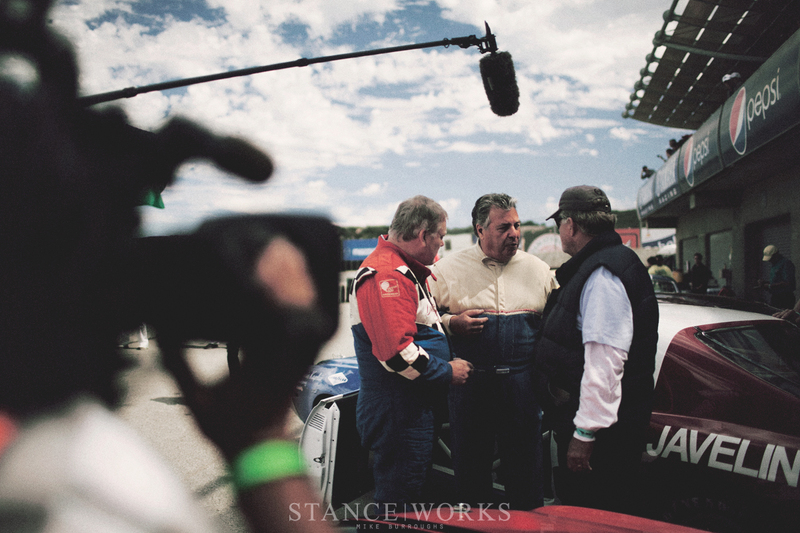 The Rolex Monterey Motorsports Reunion has quickly become my favorite event of the year. The almost weekend-long event is surrounded by several others, culminating in nearly seven full days of classic automobiles and vintage motorsport bliss. 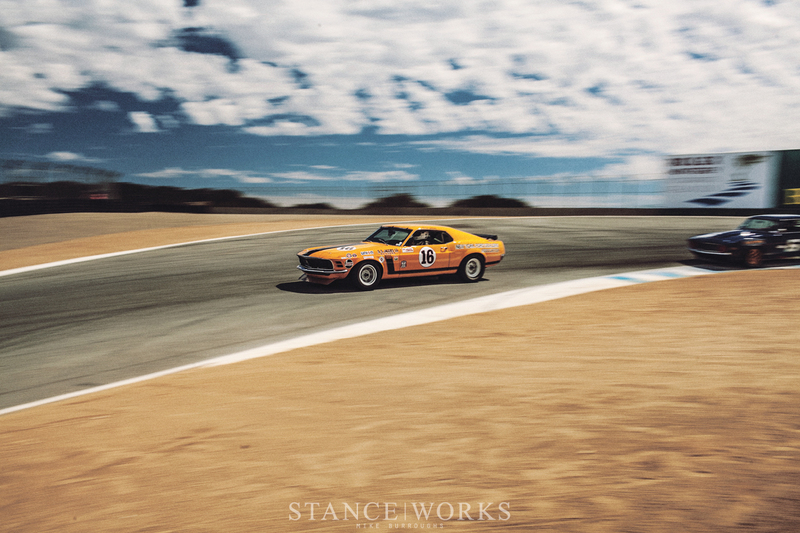 16 different classes are fielded at Laguna Seca, each one with its own special place in motorsport history. The IMSA classes have been my favorite since day one, with cars ranging from the E9 CSL to Porsche's world-dominating Porsche 935 circling the track all at once. There are other classes that pique my interest, and some that I struggle to relate to, but there's one class in particular that caps Saturday's events each year, and I'd be hard-pressed to say that they aren't saving the best for last: Trans Am. Any given day at the Rolex Historics is a full one, with 8 classes racing each day. Eight hours of hiking trackside typically ends at one of the most famous turns in racing: the corkscrew. Whether it's for the evening light, or for the best view of the final races, it's where you'll find me at the end of each day - Saturday included. It's the best seat in the house, and as a photographer, I can say that the grass truly is greener on our side of the fence. Cars race by at full speed, often just inches away... and to celebrate a hard day's work, each year I eagerly wait for the Trans Am cars to take to the track. The Trans Am series was born in 1966, thanks to SCCA President John Bishop, as a manufacturers championship for modified versions of road-going cars. Trans Am was born in parallel with the dawn of the Pony Car era, and in unison, the two brought forth one of the greatest generations and divisions of true American Muscle. Trans Am wasn't limited to American iron however - The series was split into two categories, over and under 2.0-liters, with the likes of Audi, Alfa Porsche, BMW, VW, and Mini racing in the smaller category. But while I hold an endless and endearing love for the sub-2.0-liter category, and will give them their own recognition in due time, they don't exemplify the glory Trans Am is known for. Instead, Trans Am is behind what some might consider some of the best racing history America has to offer to the world of motorsport. 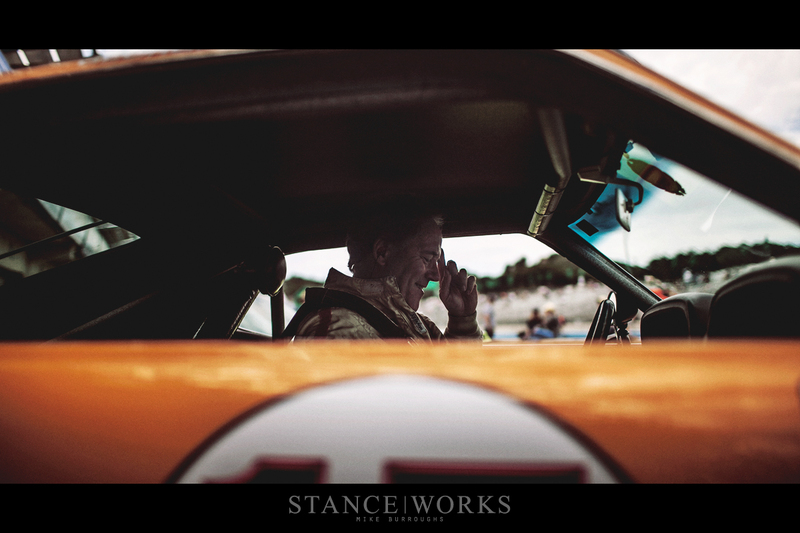 By 1970, each of the American Pony Car manufacturers were fielding a factory-works team, with a field of drivers whose names are each noteworthy in the history of racing. 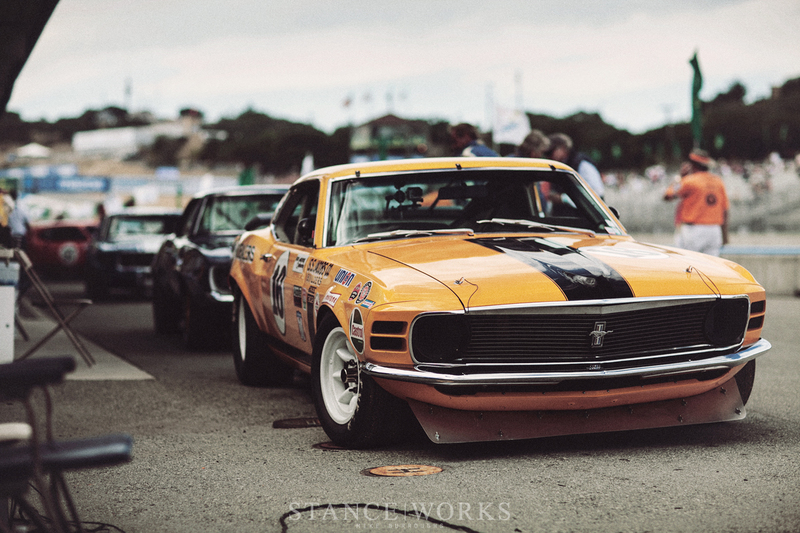 Parnelli Jones and George Follmer were behind the wheel for Ford, driving the coveted Boss 302 Mustang. Dan Gurney and Swede Savage drove Plymouth's Barracuda. Sam Posey was the pilot for the Dodge Charger, and Jerry Titus for the Pontiac Firebird. 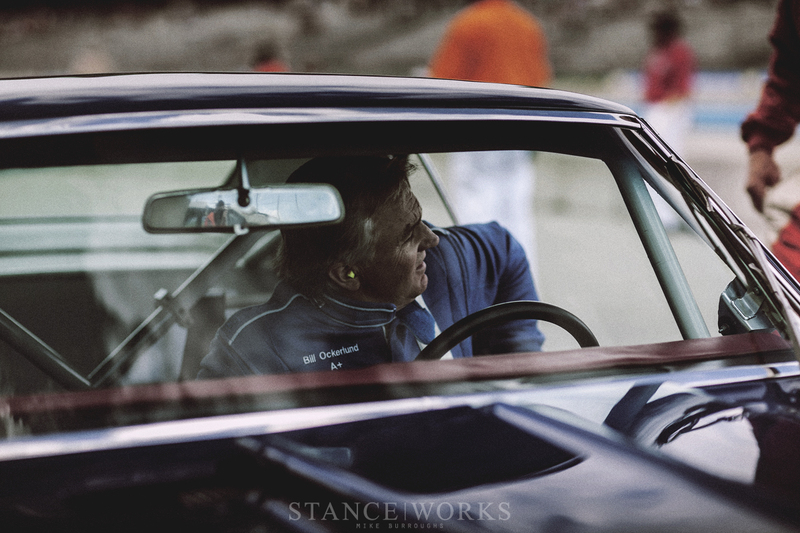 Mark Donohue and Peter Revson fielded the Penske AMC Javelin, and Jim Hall, Ed Leslie, and Vic Elford were behind the wheel of Chevrolet's Z28 Camaro. It was, by all counts, a field of legends, in respects to both cars and drivers. For me, it's that 1970 field of cars and drivers that embodies Trans Am. 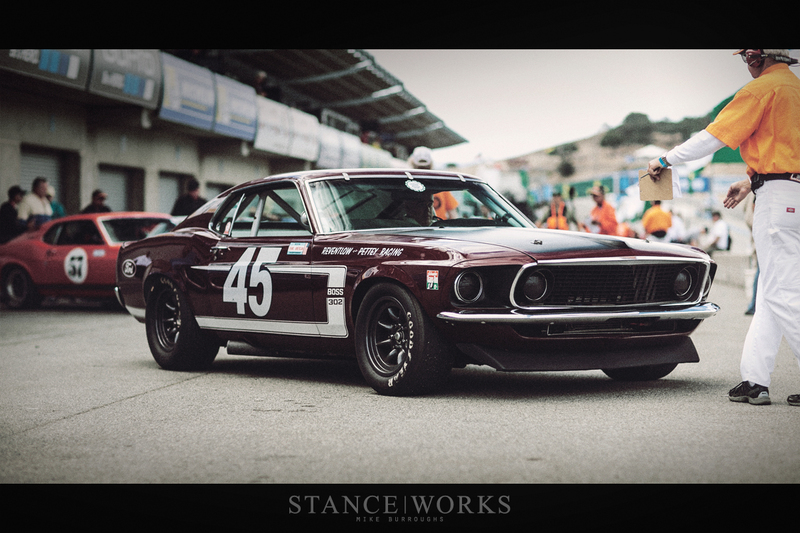 From the pits to the top of Laguna Seca's Rahal Straight, I spent every possible minute shooting the American legends. Their loud V8s scream on the way out of the Andretti Hairpin, and their classic liveries catch the evening light of the Rainey Curve. Their history made all the more important by the fact that in 1971, all but AMC pulled out of the series. 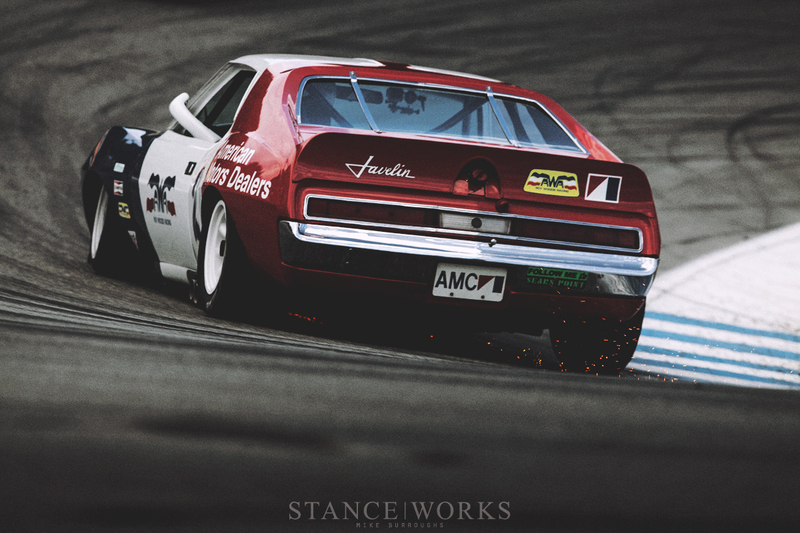 Trans Am continued to grow, but in a new direction, towards tube chassis and group 4/5 bodywork. 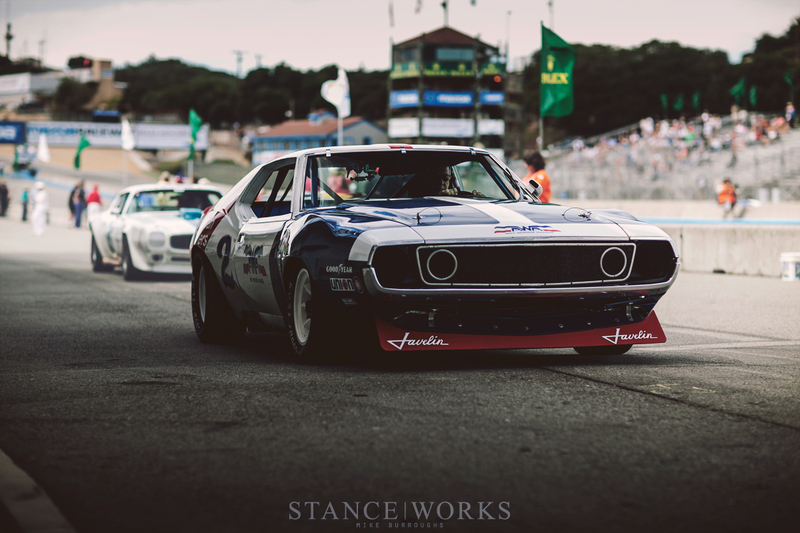 The Trans Am ponies retired from the grid and made way for the new cars, but fortunately for those of us who still hold them close to our hearts, they now shake off the dust and come out each year for a weekend of competition. 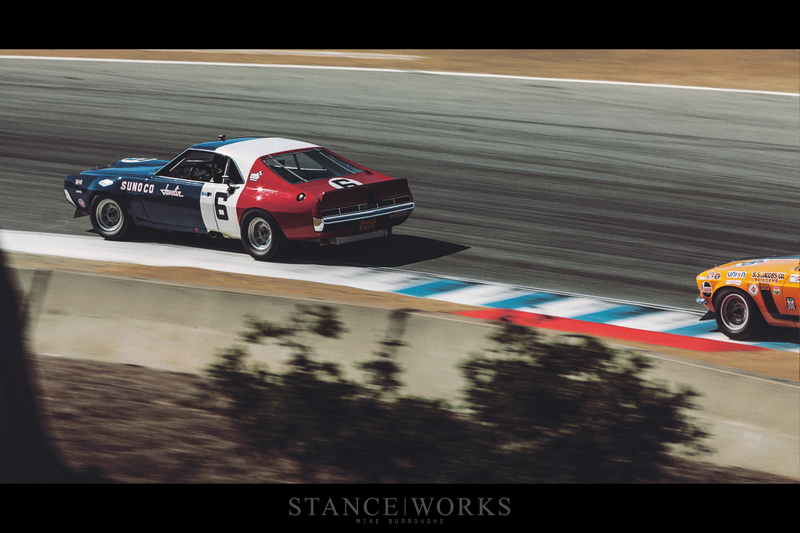 With each passing year, the roots of American Muscle live on under the roar of V8s and familiar liveries and I will continue to be there to capture these moments as the icons of Trans Am wind their way through the turns of Laguna Seca. Your use of colors/composition is always wonderful. Nice work! Awesome photographs and really cool topic. I’m really curious how these picture are “made”. 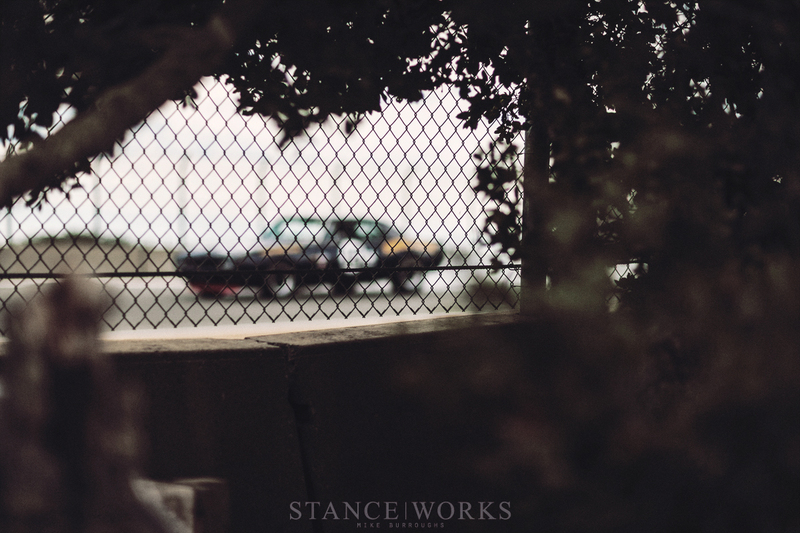 There’s a certain look of photos that StanceWorks offers that I’ve never seen anywhere else. How do you do it? Amazing pics Mike.Does anyone know the mustangs boss 302 “Reventlow” wheel setup? We may have some photos of their fox bodies that we haven’t shared yet. Shoot me an email, I’d love to get in touch!